POR061 : SCUMRAID - Control CS. 17 tracks of pure D-Beat noise punk insanity, some brand new and the rest culled from the ridiculously limited west coast tour tape, the Out of Order ep and the Rip UP ep collected on to one perfect platter, resequenced, remixed and remastered with new artwork. . Recorded at Mushroom Studio in Seoul, S. Korea. Mixed and mastered at LM Studio in Japan. 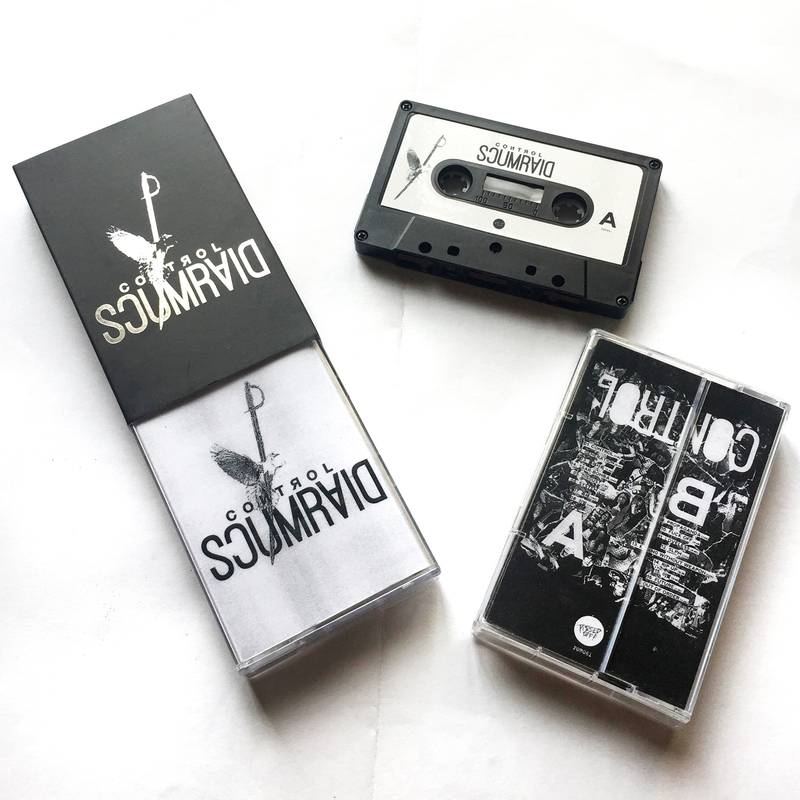 Cassette come with silver embossed logo on outer slipcase and 4-panel j-card.